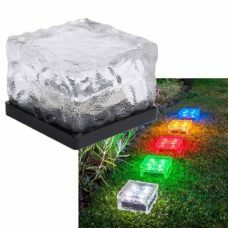 Color-Changing Solar Ice Block LED Light is powered by Solar Power and does not require electrical wiring or any additional sources of power. 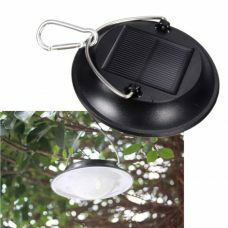 The product is waterproof and could be used for outdoor decoration the areas around the house, backyard, garden or pool. 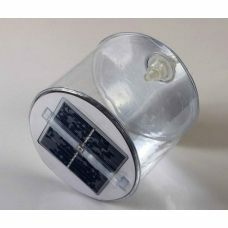 The Light has built in Automatic light sensor which turns ON the light at night time and lighting for 8 hours when fully charged. 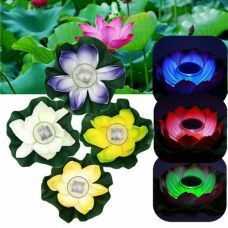 The product provides color-changing mode that could help to decorate the environment around the house in your own amazing way. Ideal for: outdoor decoration, especially for backyard, garden, backyard, pool, porches, patios, tabletop or walkway with the built-in base yachts and boats etc. 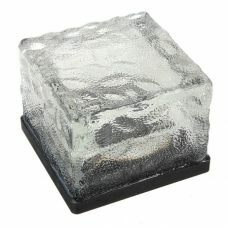 1 x Solar Ice Block LED Light.